On Wednesday March 19, Musical Ecologies will host a Pop-up Event* featuring Bay Area-based composer, clarinetist, concert producer and computer music programmer Matt Ingalls. Making a rare visit to New York City, Ingalls will perform a program of solo works for clarinet and electronics featuring his own compositions CrusT (1996/rev2014) for clarinet and tape, and Improvisation (2014), his 30-minute-continuous-micro-timbre-circular-breath-tour-de-force clarinet solo that explores extended techniques that interact with the acoustic space. The evening will also include Steve Reich’s Reed Phase (1966) and Clarinet Threads (1985) by Denis Smalley. Musical Ecologies is a monthly symposium on music and sound held every 2nd Thursday (except where noted) at the Old Stone House in Park Slope, Brooklyn. Curated and hosted by composer Dan Joseph, each event typically focuses on a single artist who presents a work or project either in the form of a talk or lecture, a multimedia presentation, a performance, or combination thereof. Each presentation is preceded by a 30-minute conversation with the curator and audience and a reception follows the performance. 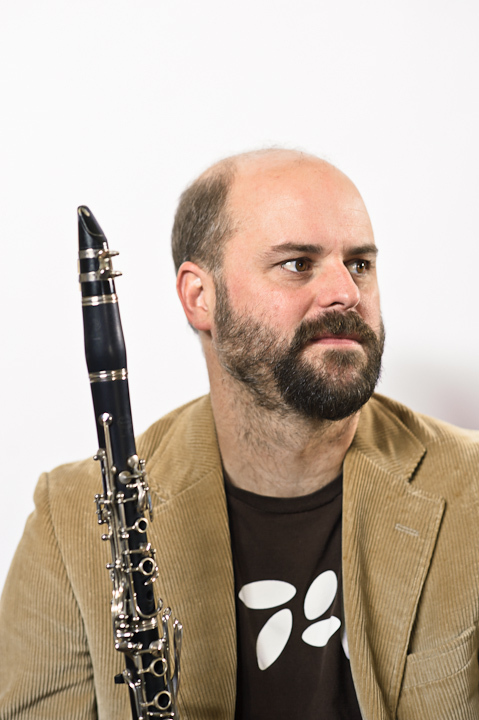 Reviled for his "shapeless sonic tinkering" by the Los Angeles Times, Oakland-based musician Matt Ingalls is a composer, clarinetist, concert producer, and computer music programmer. Active as a clarinetist, specializing in contemporary and experimental music, Ingalls is also a prominent figure in the San Francisco Bay Area Improv Scene, where he is known for his "composerly" solo improvisations that explore extended techniques on his instrument that interact with the acoustic space. As a composer he has written for acoustic instruments, voices, computer generated tape, interactive electronics, dance, theater, and freely improvising big band. His compositions have been recorded and performed in the United States and abroad, receiving many awards and recognitions including 1st Finalist in the Bourges Concours International de Musique Electronique Electroacoustic (Categorie Humor – Puy), and the very first ASCAP/SEAMUS Student Commission Prize. Ingalls is also the founder and co-director of sfSound, a new music series, ensemble, and internet radio station devoted to new ideas and traditions of experimental music, performance art, live electronic music, Bay Area composition, and the various facets of contemporary improvisation. sfSound produces an average of ten concerts a year, mostly taking place at the ODC Theater in the Mission District of San Francisco. In 2008, sfSound received an "ASCAP Award for Adventurous Programming" from Chamber Music America. sfSound is the umbrella organization of the San Francisco Tape Music Collective/Festival. Ingalls holds degrees in composition from The University of Texas at Austin and Mills College. He studied composition and computer music with George Lewis, Alvin Curran, Chris Brown, Russell Pinkston, Dan Welcher, and Karl Korte. Ingalls has taught music courses at The University of San Francisco and Dartmouth College. Post a comment — Trackbacks closed RSS 2.0 feed for these comments This entry (permalink) was posted on Monday, March 17, 2014, at 1:50 pm by Dan Joseph. Filed in press release.